Free Shipping! 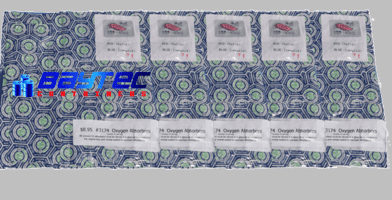 Your oxygen absorbers come in a vacuum sealed bag so that the activity of the absorber does not have a chance to work on any oxygen before you are ready to use them. We also have available an oxygen bag clip which will allow you to store the oxygen absorber packets without having to worry about them being exposed to the oxygen in the air. 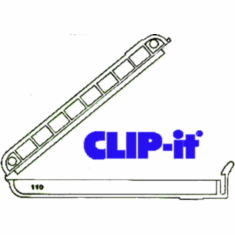 This clip can also be used to keep any type of bag extremely airtight. What Are Packaged Oxygen Absorbers? What Can Oxygen Absorbers Do? When properly used with packaging and sealing, the oxygen in the container is greatly reduced. 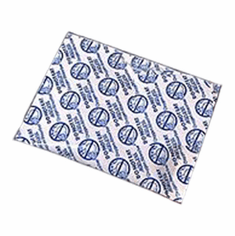 Oxygen absorbers bring the oxygen level down reliably to .01% or less. What Are The Benefits Of Using Oxygen Absorbers ? * Prevents growth of aerobic pathogens and spoilage organisms, including molds in the food container. * Use with gas flushing / vacuum packaging to absorb virtually all oxygen and absorb any oxygen that may permeate the package. * Extends life of Most pharmaceutical Drugs. * Inhibits mold in fermented dairy products such as cheese. Our absorbers meet the highest world food and pharmaceutical quality standards. Price: Shop our prices and compare. We also offer substantial discounts on case and larger orders. Availability: We are not back-ordered on our products, and are committed to meeting anticipated demands through the rest of the year.Selection: We have all sizes for your storage needs. Technical Support: We know you are serious about your storage. Our technical staff is here to assist you with your preservation packaging. What Type Of Oxygen Absorbers Do I Need? The most critical component for evaluation is the water activity level (AW). All dry grain, legumes, milk powder, pasta products and other dehydrated foods have very low water activity levels. Thus, they require absorbers which have rapid activation. These work within minutes of the package being opened. WARNING:When packaging food for long-term storage, it would be most optimum for you to use the entire contents of one sealed vacuum packet bag within 30 minutes or reseal the unused Oxygen Absorber Bag with a clip or store them in a sealed glass jar. The oxygen absorbers will because unusable if not stored in a container within 30 minutes. 1. Assemble your containers of food and fill them with your food product. 2. If you need to determine the volume of your container, do this now. (How To Measure Volume of Containers). 3. Once you have the volume of your containers, you will know what size of oxygen absorber to use and how many absorbers you will need for the session. 4. Determine how many absorbers you will need for this session. Note: Different sizes of absorbers come in different quantities of absorbers per bag. You will need to know how many absorbers are in the bag you will be using. 5. Prepare a clean, small sealable jar to store the absorbers you will not be needing for this packaging session. 6. Now open your bag of absorbers and count out how many absorbers you will not be needing. Place these in your sealable jar and tighten the lid. TIP: If your jar is a little too large, after placing your absorbers in the jar, pour a food product such as a small grain over your absorbers, to fill the jar. This will reduce the residual air volume in the jar, and will minimize the amount of oxygen your absorbers will be working on.